An exciting new programme is giving UK BME filmmakers the opportunity to develop industry knowledge, professional connections and to make a short film as part of a six-month artist development programme called BACK IN. 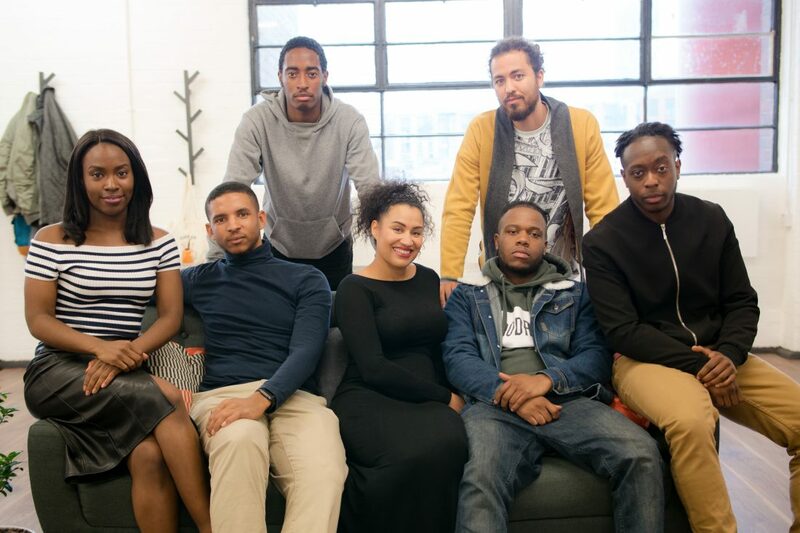 Powered by innovative creative agency Punch and curated by talented director and entrepreneur, Daniel Alexander, the programme will empower the new wave of filmmakers with project support, boot camps, one-on-one mentoring, masterclasses and peer-to-peer sessions. We interviewed two participants of the programme, Remani Love and Tenisha White to find out more about their individual projects and what they hope to get out of the programme. 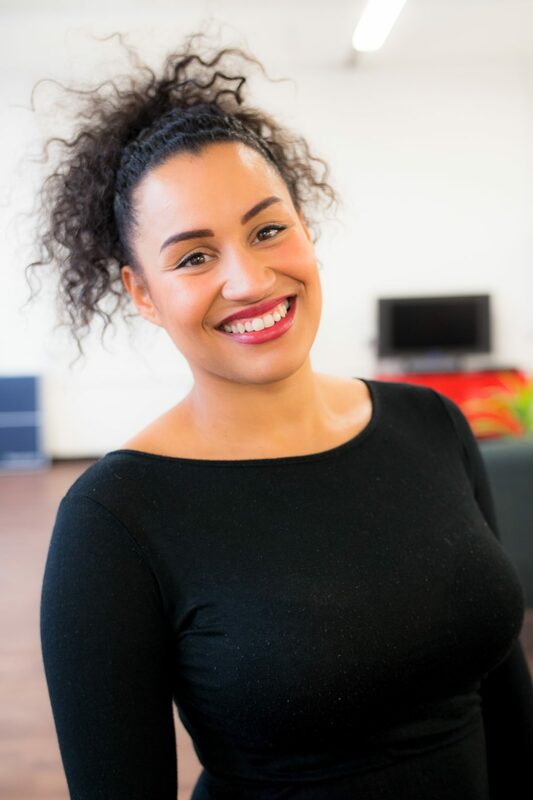 After completing a degree in Physiology and Pharmacology, 26-year-old Remani Love soon realised that she didn’t want to pursue a career in that area. Having observed a close friend drop out of university to pursue her filmmaking dreams successfully she decided that was the path for her. A friend at university (Cecile Emeke, British filmmaker, writer and artist) dropped out in her final year to be a filmmaker. Once I graduated, I featured in an episode of her web series Strolling and it showed me the power of film. I had not seen someone put dark skin, black British women on screen like she had. Her work was beautiful and the way it blew up so quickly from being an independent filmmaker to being featured in the Financial Times and going to the New York Film Tribeca Festival. The whole experience opened my eyes. I’ve always been creative so from then I was completely inspired to translate my ideas from writing into film that I could see, feel and hear. So, what’s the first project you worked on? My first project was a documentary called Love Dock, which explored black women and self-love. Growing up my mum used to put things or books in the house or literature of successful people but I felt like I didn’t really connect with it as much as I wanted to. I wanted to find out how everyday women who looked like me practiced their everyday life. When you’re growing up and you lack confidence in certain areas it’s easy for people to say, “oh just love yourself”. But I’m sure if it was that easy we’d all be doing it. So, I kind of went on a bit of a hunt to explore that topic deeper and how women from about 16-65 had incorporated self-love practices in their life, or what they’d learnt about themselves. And how I could apply that to myself. Tell me one thing that you took away from creating that? How important it is to open up. Even from a place of vulnerability. I was in a very vulnerable place when I made it. For it to become a film that was then sold out in Birmingham was amazing. Then I got flown to South Africa for film festival by the British Council. Girls, women broke down in tears, one girl said to me, “you should win the Nobel peace prize.” I just knew that I was supposed to do it. What made you want to get involved in Back In? I always wanted to work with Daniel, he was one of the first filmmakers I knew in Birmingham. He is such a generous guy, and I would see him around but there would never be enough time to learn more or pick anything up. So, when I knew it was happening and he would be leading it, I thought great. Finally, there’d be time where I can learn more about making films. It’s been great being around other like-minded filmmakers that I can ask industry questions. Do you think women like you are represented in front and behind the screen? I love Michaela Cole from Chewing Gum. She’s hilarious. I feel there has been an improvement. Do I think there’s enough? No. And is there room for me? Yes! I would love to think, coming from Birmingham which is basically Jamaica, there is space for that story because it’s unique in terms of Jamaican heritage and Brummie heritage. I feel like yes there is great progress being made but there is room for a lot more. And I would love to contribute to that. So, what’s your BACK IN project about? My short film is called Uni, and it’s a story about how university can be a rite of passage to graduate and for most people it’s something to be proud about, but you can also feel disconnected and not yourself because it not your community and you’re going into a different environment. Whilst also having the pressure of making your family or parents proud, with people looking up to you and having that expectation. It’s shot to a certain soundtrack and all the thoughts of the characters are done by voice-note, because it’s about letting people into your innermost deep feelings. But in an almost disconnected way. On a more serious note, in the last three years, student suicide has risen by 50%. So, there’s a serious issue again with mental health at uni that isn’t being addressed. So, I think it’s a story that really needs to be told. 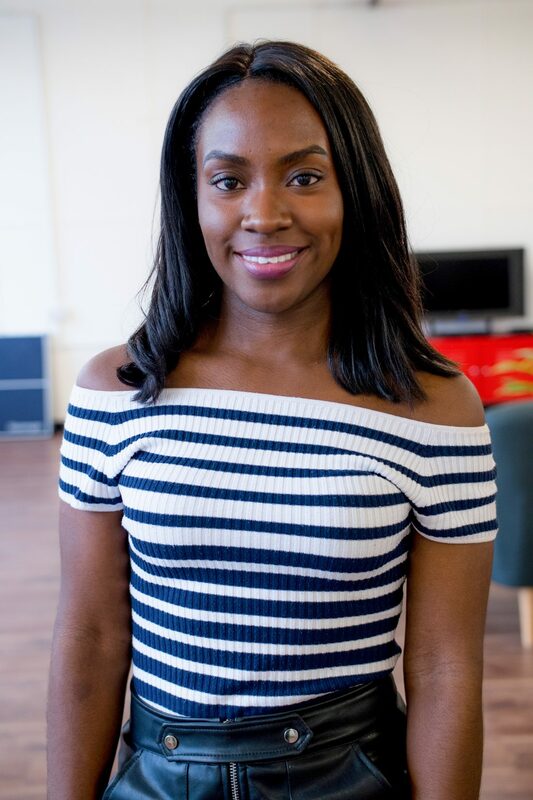 Like Issa Rae and Michaela Cole, Birmingham actress Tenisha White has created her own platform to showcase her talent with a short film called Broken. The 31-year-old has also featured in shows like Doctors, Shameless and Doctor Who. I started acting when I was 12. My big sister used to take me to a class on two buses out of town. I could see how much she knew I loved it, and was committed to taking me twice a week, so I continued to do it. She’s a brilliant sister and going made it become natural to me. What productions can we see you in? I was a regular nurse in Doctors. I’ve also been in Shameless and Doctor Who. I did a film with Ray Winstone and Danny Dyer called All in the Game. Now I specialise in comedy sketches. I would love to act and produce my own comedy sitcom one day. I also work with a comedy group that write sketches with me in mind and they give me a chance to do the ones that I’ve written too. With the talk about the exodus of black actors to America, have you ever thought about going to America to pursue your acting? I’d like to. I did move to London and a lot of the actors said, why did you move to London, everyone moves to London. We need to try and do things from here, so I moved to London for two years and then I kept coming back to Birmingham for work. My agent said that I get a lot of work in Manchester or Liverpool so moving to London I was getting further away. So, I moved back to Birmingham. I’ve trained to do an American accent and now I’m training to do a London one. So, if an opportunity comes to go to America then yes. But I’ve got a child now so it’s a bit different to just picking up and going to America. Tell us about your short film? It’s called Broken, a film about domestic violence. A couple are in a very unstable relationship but you can see that there is a lot of love there. There’s lots of twists and turns, I didn’t want it just being straightforward. I came up with the idea, then I called Daniel Alexander and I called an actor and said, “how do you feel about this, what do you think about it?” and they got on board, and within three weeks we’d shot it. We shared it in film festivals and it’s been selected in five. I had never even filmed in my life, so I’m really proud of that. What’s the short you’ll be doing as a part of Back In? Spite is about a mother who has had her child taken from her, from her ex-partner and she thinks it’s as simple as going and knocking on the door and getting her child back but it’s not. The law says he’s the father, he’s got as much right as having the child as much as the mother. The film is about her journey dealing with the social services, the police and the courts to get her child back. BROKEN – A short music film from Daniel Alexander and written by Tenisha White on Vimeo.